Made of PP. 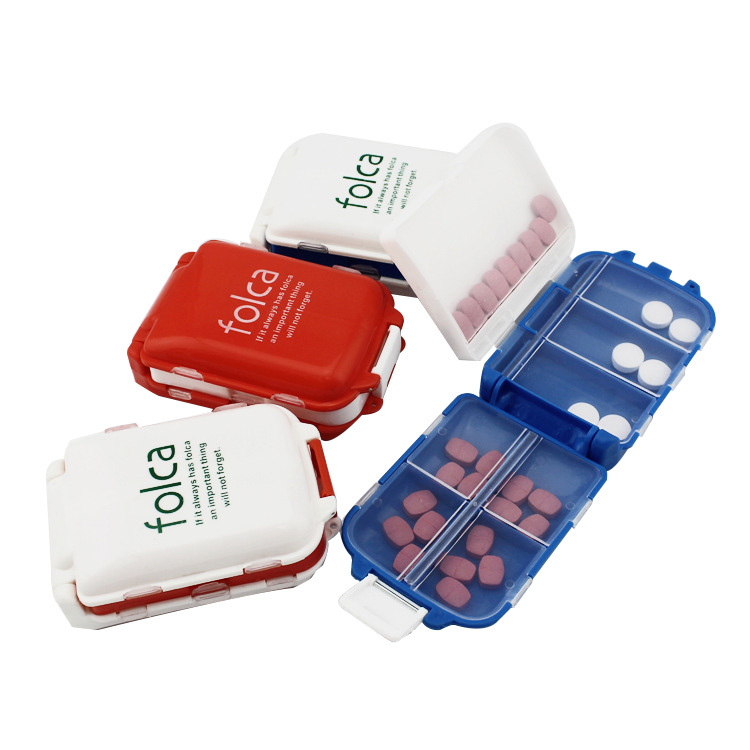 The pill case have many layouts for storing your pills. It is perfect for promoting pharmacies, clinics, hospitals and other health practices. Package: 1 pc/opp bag, 200 pcs/ctn, 26 lbs/ctn. Imprint Size: 3" x 2"